Our Gate Solutions can be solar powered or electric. 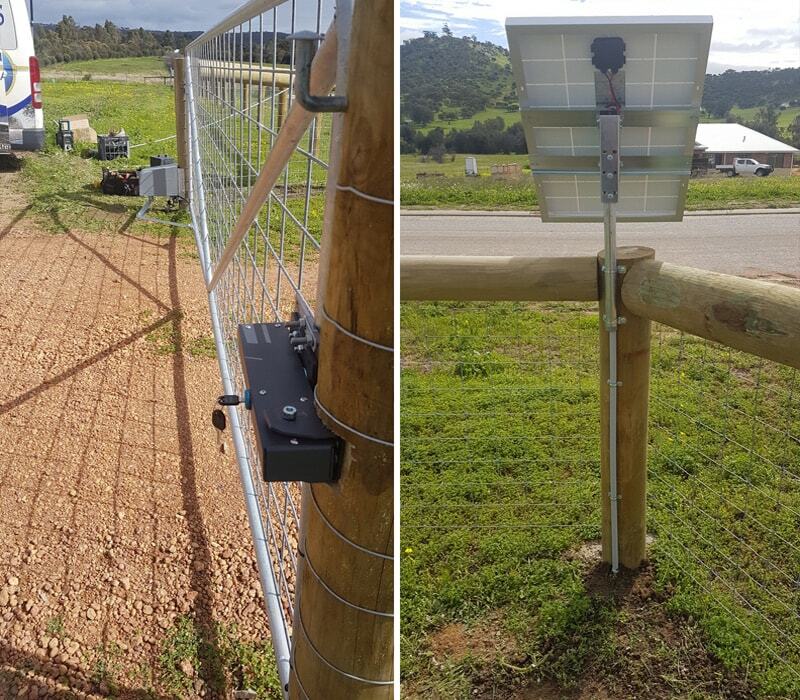 We create Solar Gate Solutions from almost any gate type and location that has a sunny outlook. Solar Gate Solutions a long-established solar gate company in Perth. We are known for our high-quality gates systems, and attentive client service. See About Us for information on how we work. 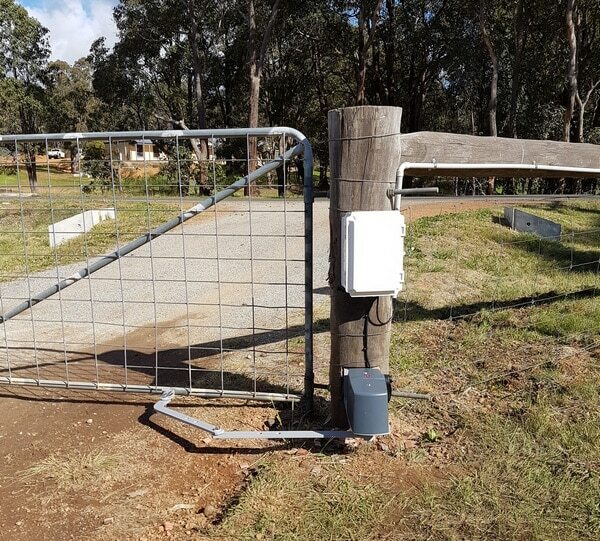 Solar Gate Solutions installs electric gate systems that can be solar or mains powered and we service the Perth hills and surrounding areas. Contact us today for fast response, quote, or service. Need a solar or electric gate? Contact us now for an obligation free quote and we will get back to you as soon as possible. Get inspired with our Solar Gate Solutions Gallery for all the latest designs and materials of Solar Gate Solutions. To learn more about our rural services you can visit our Small Farm Services Website. Graham was courteous at all times & willing to fit me in easily for the three quotes that I needed. I have gone ahead with two of the gates, the third will be in the beginning of 2019. The ease of the gate operation is absolutely wonderful no more getting in & out of the cars to unlock & lock our gate in the rain or the heat. I constantly take horse floats & trailers in & out of our property with ease. Just wish I had done it years ago & my daughter loves her new gate as well, wonderful for themselves getting in & out & letting their friends in easily now. Thank you so very much for all your help. I found Graham to be very knowledgeable on his product and the installation of our gate was prompt and after sale service has been excellent. I would Thoroughly recommend him. Thank you Graham for installing our automatic gates. No more getting in and out of the car for me. Great customer service, I really appreciate that you were happy to come to our place to give us a free quote and answer all our questions. As soon as we were ready to go ahead, the job was done. Really happy with the service provided by a local, small business. Thanks for your in replacing the old gate motor with a solar panelled one. We are pleased with its operation to date and I appreciate the workmanship shown. Absolutely love my new gate system and fantastic service from Graham. Highly recommend.